With this lovely facial serums set, you have three of the best serums for reversing the signs of premature aging and giving you skin a wonderful healthy, fresh and clean glow. The hyaluronic acid adds a super pulse of hydration to your skin, the vitamin C serum brightens your skin and the retinol serum boosts collagen. 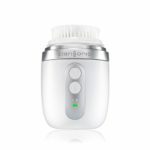 There is nothing like the feel of clean, soft skin to put a smile on your face, which is why the Clarisonic Mia FIT Sonic Facial Cleaning System is so interesting. This lovely sleek facial brush fits nicely in your hand and comes in 3 wonderful colors: white, aqua and pink. Long awaited, YEOUTH have finally introduced a neck firming cream to their range of skin care products and serums. 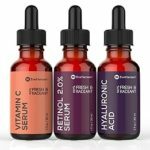 Currently, their Hyaluronic Acid Serum and their Vitamin C Serums are hot to trot with customers finding few bad words to say about these serums. 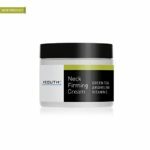 Check out their new neck firming cream here. Exposed Skin Care – Does it really give you clear and healthy skin? Exposed Skin Care state that 98% of people who use their range of acne treatment skincare products have clearer skin and 96% say that their skin tone is also improved. These are fabulous results, which must be true, given that they offer a 1 year money back guarantee if you are not happy with your results. For less than $40, the Nano Ionic Facial Steamer is at a great price point and makes a great addition to your beauty routine and a fabulous gift for friends and relatives. It has three different functions, so it is even better value for money. You have a facial steamer, a humidifier and a towel warmer. With Christmas just around the corner, we have to start thinking about buying gifts for friends and relatives and sometimes that can be difficult. 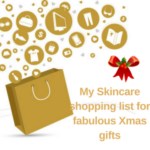 Luckily enough, people always love skincare products, so to help your shopping go a little easier this year, here is my Top 10 list of skincare & beauty gifts for Christmas 2016. The natural, organic and vegan skincare products from Australia make fabulous gifts for yourself, your friends and your family. They have a number of different skincare products for dry and damaged skin, mature skin, and sensitive and oily skin, as well as irritated and aggravated skin. With so many fabulous ingredients and so many great customer reviews, the Baebody eye gel should definitely be on your shopping list. For less than $20, you can’t find a much better eye gel on the market and it really does brighten, smooth and hydrate the delicate skin around your eyes. First created in 1985, the Double Serum has been enriched and enhanced over the years to deliver more quality and beauty to women around the world. 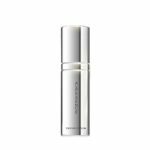 This is the 7th generation of the Double Serum that contains a Hydric + Lipidic system to deliver maximum results to your skin. This is an expensive facial serum, but sometimes you just can’t put a price on quality! If you want to spoil yourself with a wonderful, luxurious serum that contains caviar and rose stem cells and will bring life back to your complexion, then the Signature Caviar Serum by Alpessence might be the one for you. With 2.5% active Retinol (vitamin A), along with vitamin E, hyaluronic acid and green tea (powerful antioxidants), the Radha Beauty Retinol Moisturizer Cream helps to combat fine lines and wrinkles, reduce mild acne and hyper-pigmentation, and give your skin a more youthful and healthy glow. Packed with vitamins and minerals, the Dead Sea Mud mask will improve your skin’s elasticity, maximize your cell’s hydration and minimize the appearance of pores, as well as fine lines and wrinkles. This eye gel has all of the ingredients you want in a good eye gel with hyaluronic acid, Matrixyl 3000, Vitamin E, plant stem cells and even more peptides. It is not sticky or gluggy, goes on smooth and the pump action delivery system makes it easy to apply the right amount to your eye area.